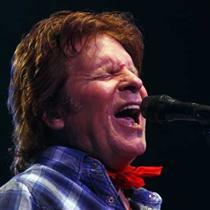 I was able to go see John Fogerty‘s Ottawa concert last night (see review), and it was a real treat. Just getting to see him play my favourite CCR song Fortunate Son was worth the price of admission. Fogerty played a truly great, high-energy concert with the speakers turned alllll the way up. It is especially amazing when you consider that he’s 62 years old! The interesting wrinkle was that he seemed genuinely happy that people liked his music and the show. It’s been a while since I’ve seen a bona fide rock star actually sound humble and appreciative. Jim Cuddy of Blue Rodeo fame opened the show. I’ve always thought that he was a great musician, but he could definitely use some of Fogerty’s energy and enthusiasm.